Got this via email this morning and I would say the designers of this pub are really imaginative! 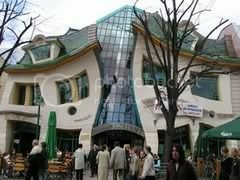 However, I would think it would be a nightmare for the builders. Dunno where this pub is located tough.. any ideas? Looks like european architecture to me. Over the weekend, I've started swimming again... yeah taking lessons... quite funny actually 'cos there are around 15-20 ppl taking lessons and only 3 adults.. hahaha.. damn shy. Anyways, the lessons were quite good and there are some interesting stories to tell. Will post it up over the next few weeks. 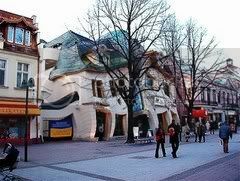 It's in Sopot Poland, near Gadansk. It's actually a shopping mall. This link has more info but, strangely, no pictures. 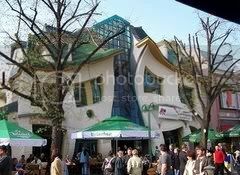 Pub that looks drunk It's in Sopot Poland, near Gadansk. http://en.wikipedia.org/wiki/Gdansk It's actually a shopping mall. This link has more info but, strangely, no pictures.